JOIN US FOR THE ULTIMATE CHALLENGE! 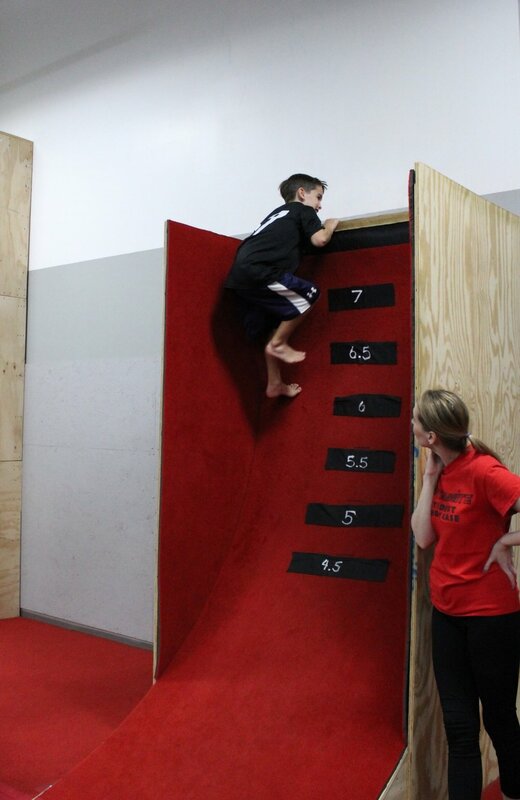 The Agility Center is excited to announce Ninja Warrior Competitions one Saturday every month! Athletes ages 3+ up to and including adults will test their strength, agility, grit and acrobatic abilities on three events: Suspended Course, Stability Course and Warped Wall (see details on each course, below). The fastest time plus the least deductions win the most points! Upcoming competition dates: April 27, May 18, and June 15. See Competition Details for compete times by age group. Please note that all start times follow this schedule, but ending times may vary, depending on the number of athletes registered to compete. When we have a full complement of athletes competing in all age groups, competitions can run from 5:00 to approximately 9:45 pm ( the youngest age groups start first and will finish before 6:50 pm). Any schedule changes will be posted to our website and on our Open Gym and Events calendar for that month. BONUS: $5 discount for students currently enrolled in ANY Dynamite gym (Bolt Parkour and Freerunning Academy, Dynamite Gymnastics Center, Dynamite Tumbling & Cheer, The Agility Center) at competition time! Register FOR THE NEXT COMPETITION NOW! *Depending on enrollment and other factors, this schedule may change slightly at competition time. The Stability event features blocks, bars, beams, mini trampolines and mats to form a challenging obstacle course. Each age group will compete on a tailored course appropriate to the age and level. Competitors are expected to complete the course using no knees or elbows (hands and feet only), never touching the carpeted floor, and in the shortest amount of time. Time will be added for skipped portions of the course, knee or elbow use, or omitting required skills. The suspended course takes agility to a whole new level! Ropes, cargo nets, suspended blocks and other equipment suspended from the ceiling results in an unstable course that requires strength, concentration, superior motor planning skills, dexterity and bravery. This event is broken down into age-appropriate components for our younger competitors. Winners will complete the course with the least number of deductions in the shortest amount of time! 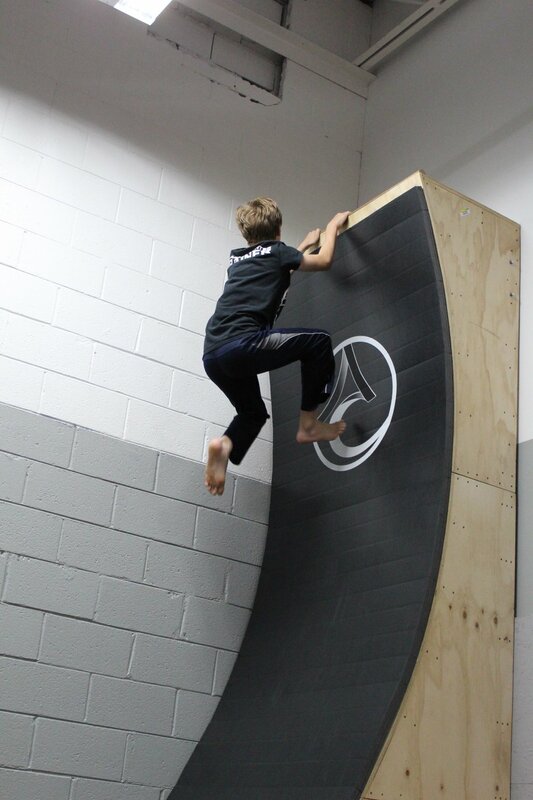 Athletes scale either an 8-foot or a 12-foot warped wall. Points will be awarded for using only the hands and feet to reach and climb onto the top of the wall. Time will stop when the athlete is standing on top of the wall.